Warm up this fall while sipping on a delicious creamy mushroom soup served in individual ramekins and topped with homemade croutons. Perfect for an appetizer or starter course. Everyone loves to eat something ordinary in an extraordinary way. 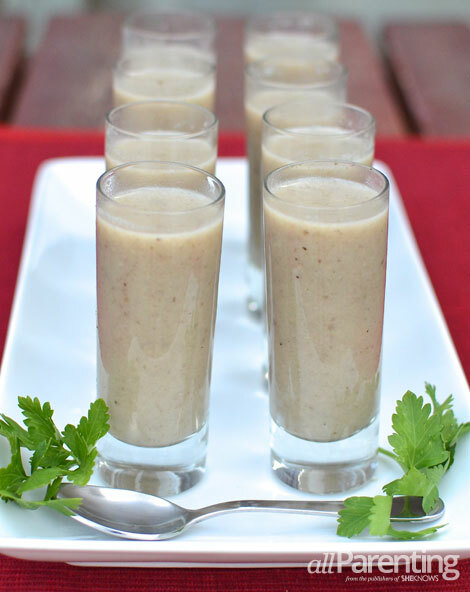 Skip the bowls and serve yummy cream of mushroom soup in tall shot glasses. Your dinner party guests will love sipping on the earthy flavors of this soup as a passed appetizer or starter for a dinner party. Skip the cooking sherry and use real Amontillado sherry. In between Fino and Oloroso sherry in terms of color and body, this off-dry Sherry has a lovely nutty flavor. 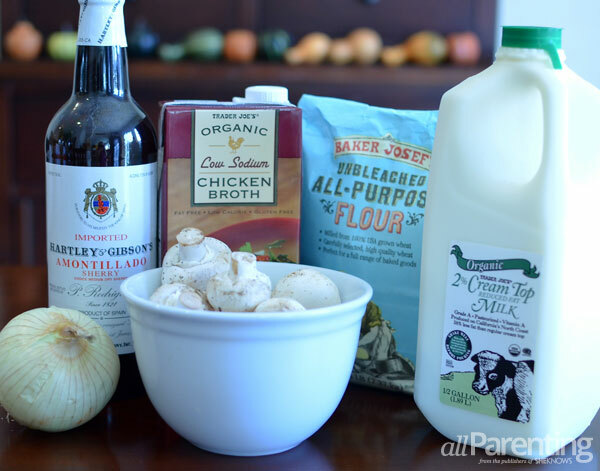 It adds flavor and depth to the earthiness of the mushroom soup. In a medium-sized pot, add butter and melt. Add mushrooms and onions. Cook over medium-low heat for 10 to 12 minutes or until soft. Stir in flour to combine and cook for 1 minute. Stir in chicken stock a little at a time and bring to a boil. Return pot to heat and stir in sherry. Cook for 5 minutes, and then add milk. Ladle into tall shot glasses and serve!